With a background as an intensive care specialist, Professor Mitchell is committed to improving medical delivery and education and to making a difference to practice through research and teaching that benefits patients, students and colleagues. Professor Mitchell was in 2013 the recipient of a Harkness Fellowship for Health Policy and Practice, which she undertook at Johns Hopkins Bloomberg School of Public Health in the United States. She is a nationally and internationally recognised clinical and health systems researcher, specifically in the development of sustainable processes to manage patient deterioration and the early mobilisation of intensive care patients. 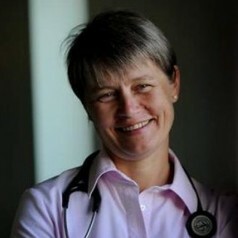 Her research is currently focused on improving end-of-life care. Professor Mitchell’s teaching has been recognised with multiple awards, including Senior Fellowship of the Higher Education Academy and the Taoiseach Public Service Excellence Award (Ireland). She played a key role in the development of an innovative patient deterioration teaching program, COMPASS©, which is now embedded in healthcare organisations internationally.